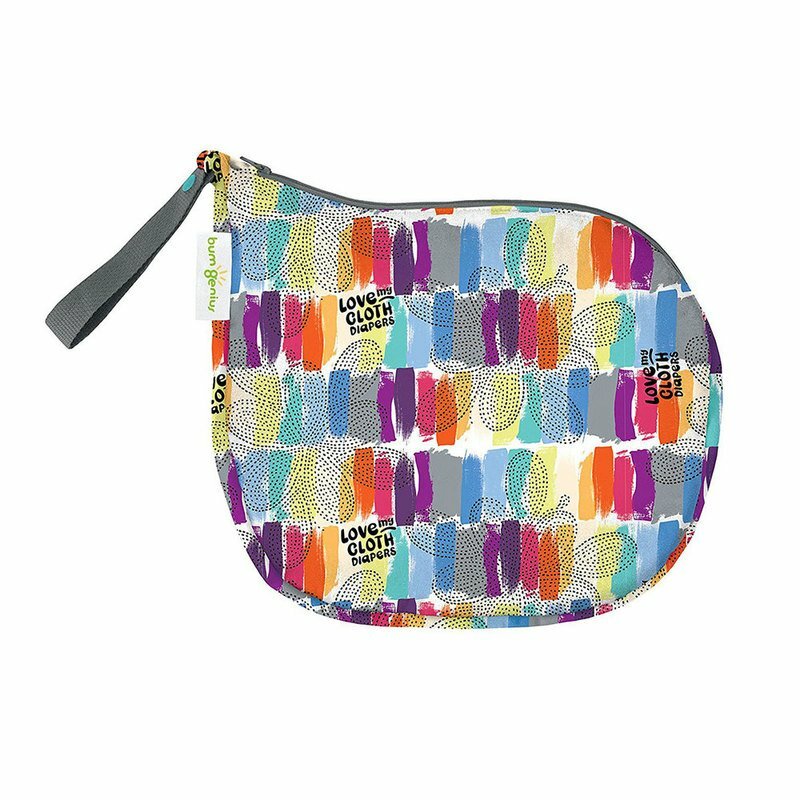 This small bumGenius wet bag is an essential and fashionable accessory to store wet items or 3-5 cloth diapers while on the go. Sized to tuck into your bag. Features a snap handle to make carrying or hanging easy.